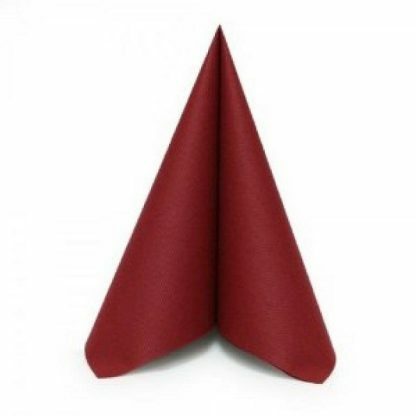 These 16”x 16” dinner napkins have the look and feel of linen, but with the cost effectiveness and disposable convenience of paper. The secret is in the revolutionary technology of fusing cotton with virgin paper towels to produce an elegant and soft, yet durable finished product. A crisp, clean appearance every time out of the box, they are ideal for special occasions and large gatherings, as well as for in home use. The product comes unfolded so you can customize it any way you like. For napkin folding ideas, please visit the SimuLinen YouTube Channel. These 16″x16” dinner napkins have the look and feel of linen, but with the cost effectiveness and disposable convenience of paper. The secret is in the revolutionary technology of fusing cotton with virgin paper towels to produce an elegant and soft, yet durable finished product. A crisp, clean appearance every time out of the box, they are ideal for special occasions and large gatherings, as well as for in home use. Made from the best DISPOSABLE material available on the market today, these napkins are SOFT to the touch and your mouth will thank you. Our napkins are not like paper napkins that are rough and abrasive. Not only are our napkins disposable, they are also much FRIENDLIER TO THE ENVIRONMENT than re-washing cloth-linen napkins. Plus, being disposable, they make cleaning up after dinner so much easier! 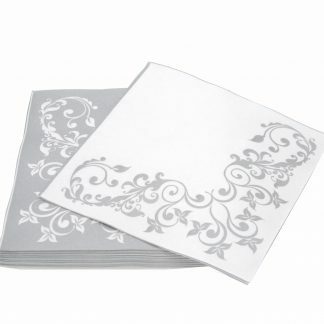 Our napkins are large and thick enough that your guests will only need one napkin, no matter what you’re serving. The product comes unfolded so you can customize it any way you like.